Central California Soaring Association: SATURDAY, August 12, 2017. Rough air with good lift. SATURDAY, August 12, 2017. Rough air with good lift. Visibility: Hazy but more than 50 miles. Time Aloft: 2+ hours for Joe and perhaps as long for Carl Engel. Comment: Thanks to Dennis Lyons and Martin Caskey for cleaning the starter motor on 4205U. Tow pilot: Frank Owen all day. 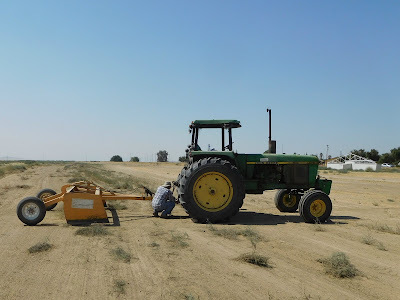 The good news of the day is that our great friend from Avenal, Doug Morris, brought over his tractor trailing a really good scraper for the removal of tumbleweed. About 2 years ago, he did the same thing and we really cleaned up the runways right down to the dirt. By the way, Doug is the man who is solely responsible for any good fortune the AGC and subsequently the CCSC realizes from the contractors on the solar farm just to our west. Doug has gone out of his way to see that we have been treated generously and fairly. His family obtained land in the Avenal valley as far back as the 1880's and today Doug still runs cattle on acres from Coalinga south to Rte 41. He's one of life's nicest guys and anytime he shows up at the field please treat him as royalty. 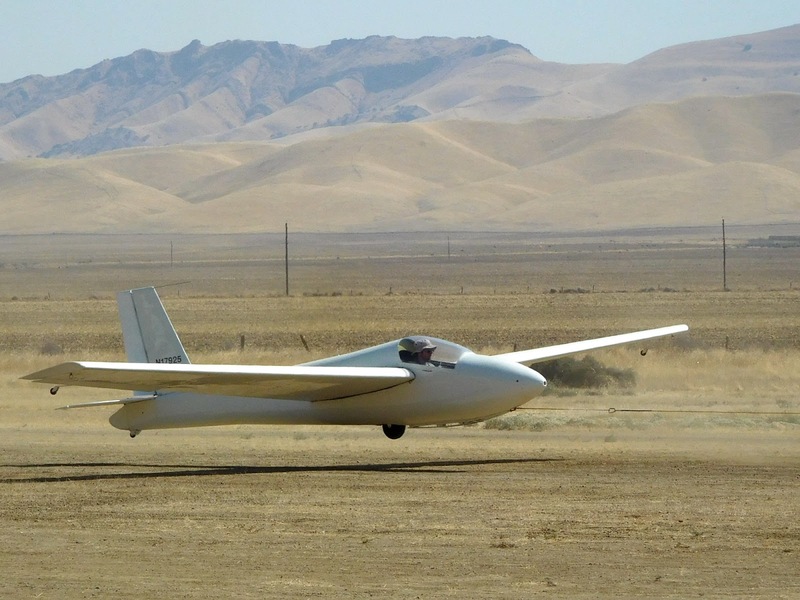 He also likes to fly in a glider so if you're going up solo in one of the two place ships please ask him to join you. We also owe his wife a ride as well. The tractor was delivered about 10:00 am this morning and Dennis Lyons drove first. When he had to head home, Mike Paoli took over and continued throughout the day, even planning on scraping Sunday since Doug had generously offered to let us use the tractor on Sunday as well. Doug Morris and Mike Paoli working on the hitch for the scraper. It came loose during one run while Mike was driving. After the fix Mike continued to drive the remainder of the day and planned on driving Sunday to get the job done removing as much tumbleweed as possible. Thanks so much for all your effort Mike. Zach Yamauchi in place for his first flight of the day, a practice checkride. 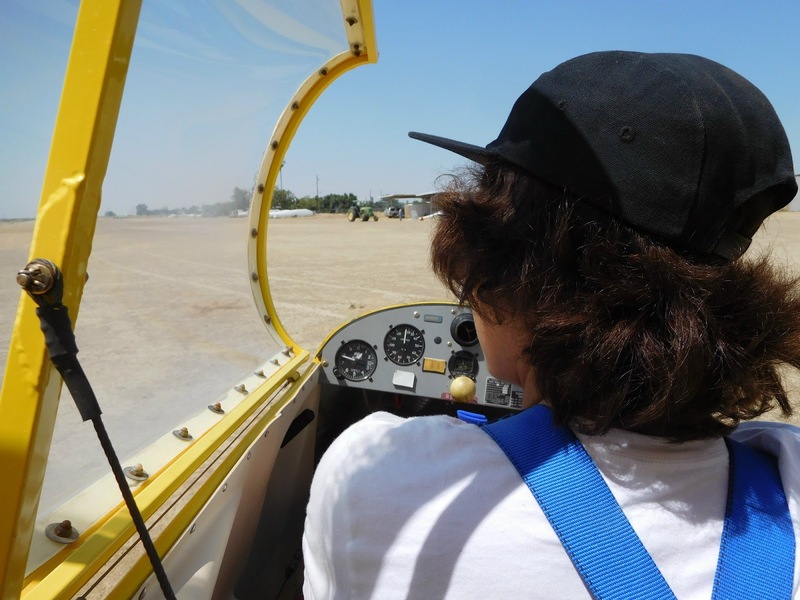 Zach executing a right climbing and turning stall in preparation for his checkride. On the ground again, Zach needed another pattern tow to make sure all was well in his skill set. The heat was a bit oppressive waiting for a launch but once aloft the cooler air prevailed. 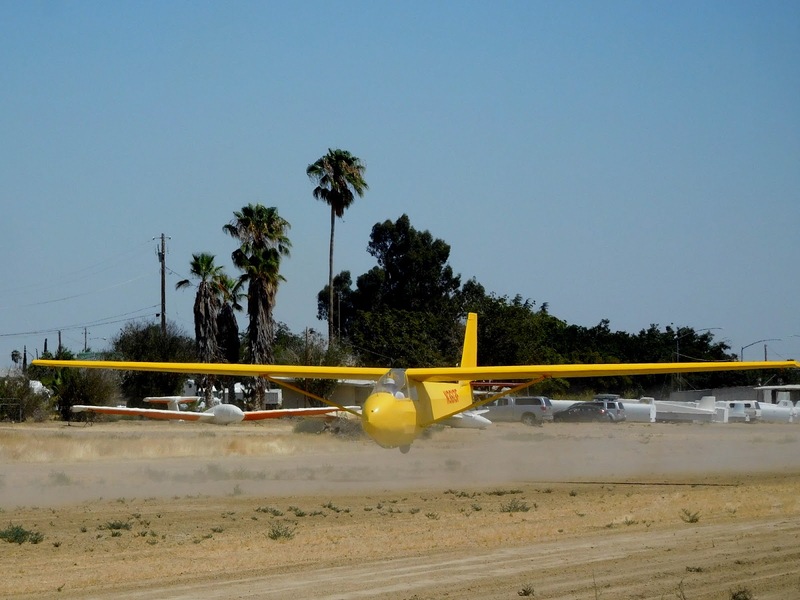 This time it's Luca Soares flying solo in Big Bird on tow behind Frank Owen in our beloved Cessna 150. Luca is in great position just above the runway waiting for the tow plane to break ground. 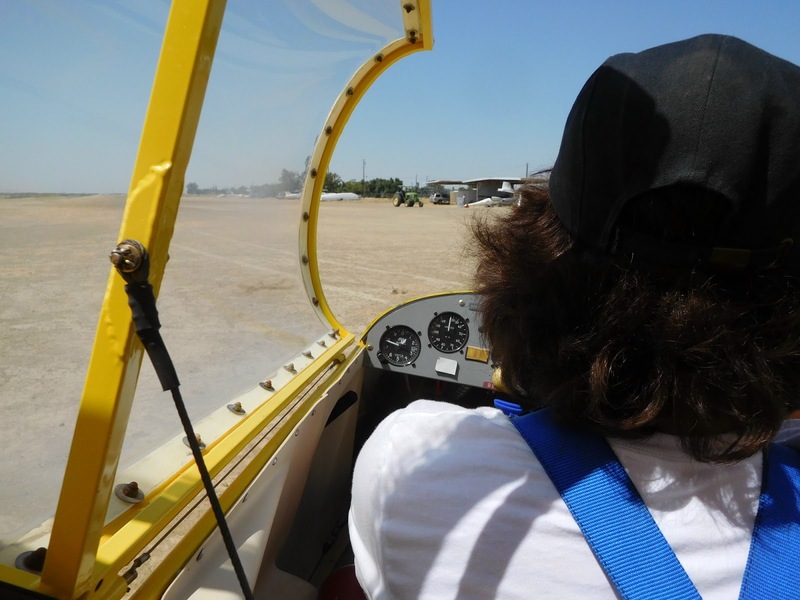 Luca had a very nice 2-hour flight in good air with thermals hitting 800 fpm. 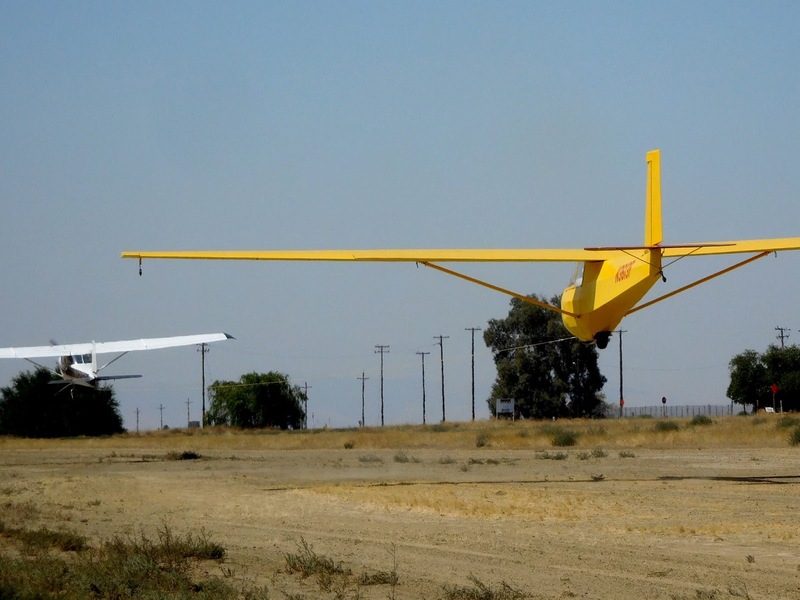 Eric Burlingame is launching in Big Bird and he, too, had a nice long flight with good thermals. Carl Engel launching in the 1-26 since his glider was undergoing its annual and wasn't finished by mid-afternoon. He and Martin Caskey worked on the annual most of the morning but a few things needed finishing later on. The nice surprise was the tow plane being ready to tow early this morning. 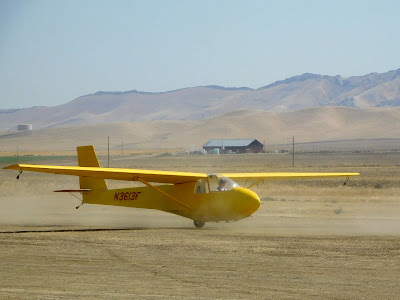 Those responsible arrived early, checked the starter motor, reinstalled it, and by 10:00 am the tow plane was usable. Thanks to all who helped make that a really quick operation. 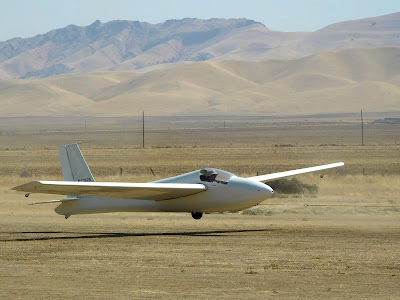 Joe Anastasio assembled his PW-5 and launched around 1:30 pm or so. 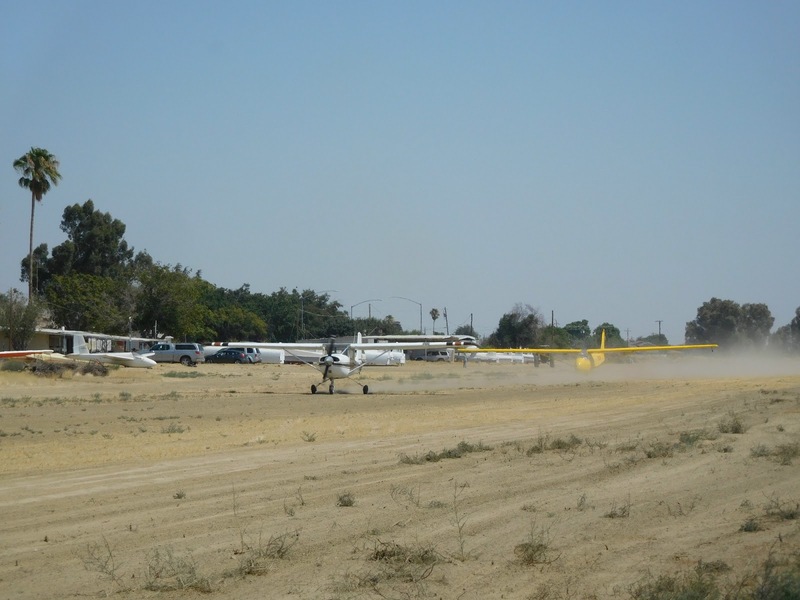 He said it was a 2+ hour flight that took him to 6600 msl and as far north as Coalinga and as far south as Route 41. 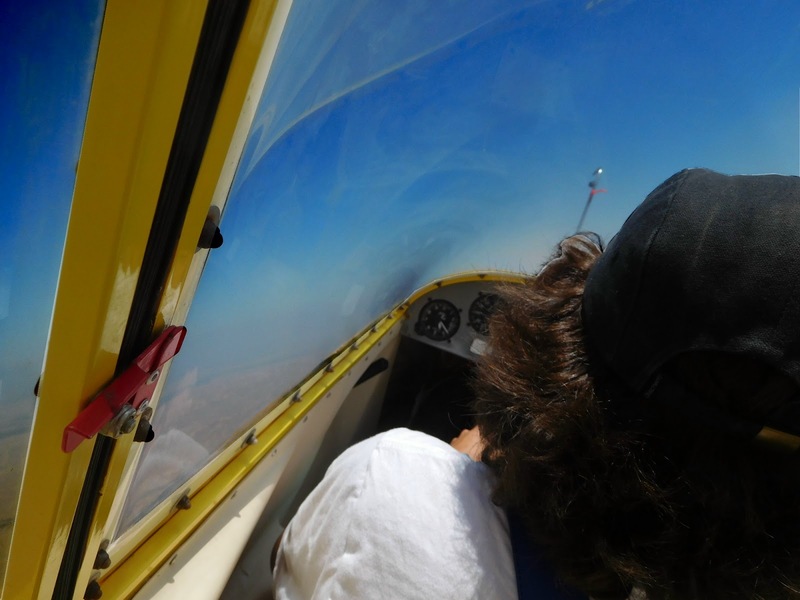 It was just a very nice relatively easy flight since there were excellent thermals topping 1000 feet per minute in lift. For those of you who may have noticed how neat and clean the area has been maintained not only around the clubhouse but along the fence line as well, we can all thank Sergio's dad, Carlos, who has been out there cleaning up the grounds for many days now. If you haven't been out there lately you have to see what a great job he's been doing and how neat the grounds look now. Muchas gratias, Carlos. 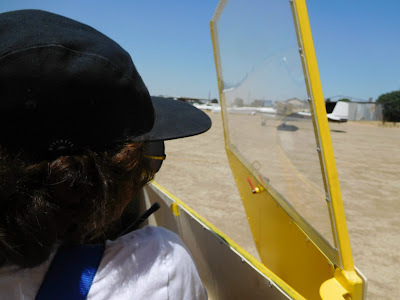 Take him for a ride whenever you can because he enjoys going aloft in both gliders and the tow plane and it's a small way to repay him for all his effort. On another note, Daniel Slezak arrive unannounced at the field and introduced himself to me because I had forgotten what he looked like since his last visit to Avenal and the CCSC. His dad, Doug, and brother Caine used to be regulars at Avenal and one day just headed home and hadn't returned for years. In fact, the last time I flew with any of them was Daniel who soloed on September 29, 2001. 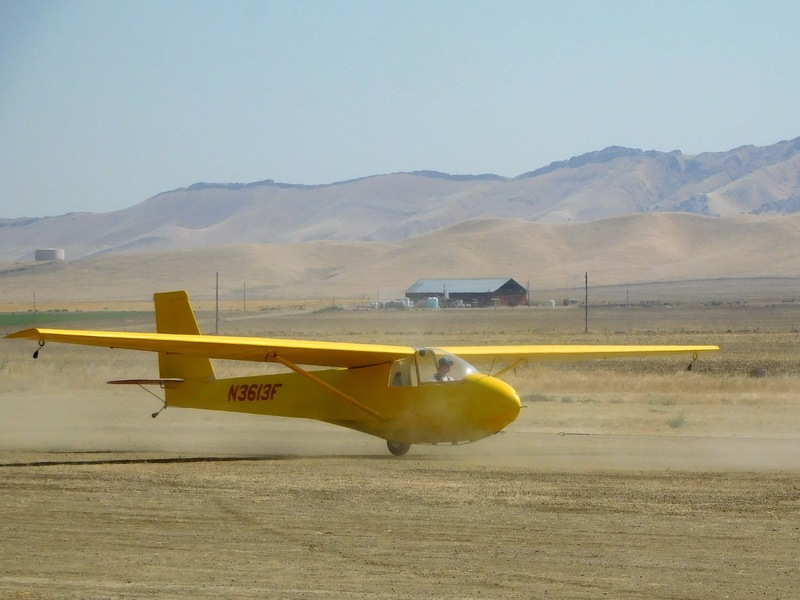 His brother Caine soloed on September 30, 2000. Welcome back Daniel!!! After looking that up in my log book, I don't feel so bad about forgetting what Daniel looked like after 16 years away. SATURDAY, August 19, 2017. Few members, hot day.